NOTICE: Our Spring Charity Golf Tournament at Hillcrest Golf & Country Club in Batesville, originally scheduled for April 28, 2019, has been POSTPONED until 2020. We will announce when the new date for our Spring Tournament has been decided. Our Fall Charity Golf Outing at Cricket Ridge Golf Course in Batesville will still be held in 2019. Stay tuned for the date and other announcements. Past District Governor, Judy Bush (2nd from left), presented our 2017-18 Rotary Presidential Citation at our recent “After-the-Holidays” party. She noted we were the first club in the district to achieve all the criteria to qualify for the citation. Thank you, PDG Judy, and we look forward to earning another Presidential Citation this year! Other Rotarians in the photo include: Margie Walke, Donald Mobley, Melanie Mobley, Angel Marks, Nikki Hutchinson, Whitey Howard, and Judi Howard. At our club meeting on August 28, 2018, we were pleased to welcome our District Governor, Sue Wright. She talked to us about her goals for District 6580 this year, and encouraged us to “be the inspiration” for our club and our community. Thank you DG Sue! Come back any time and see us! Tue. April 9 : No club meeting this week. Tue. 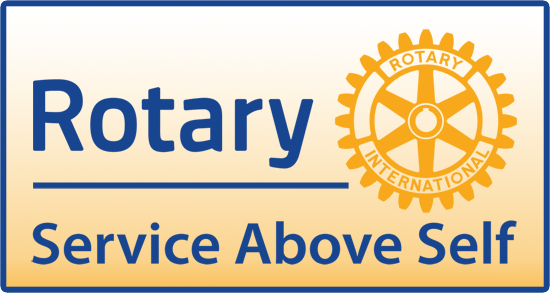 April 16 : 12:00 pm – Club meeting @ The Big Four Café. Program : TBA. Batesville Rotary Club’s 1st Annual Spring Charity Golf Tournament at Hillcrest Golf & Country Club, Batesville, IN has been postponed until 2020. Tue. May 7 : 12:00 pm – Club meeting @ The Big Four Café. Program : Bill Farrar, Fountains of Hope. Tue. May 14 : No club meeting this week. Tue. May 28 : 6:30 pm – Club social meeting @ TBA.